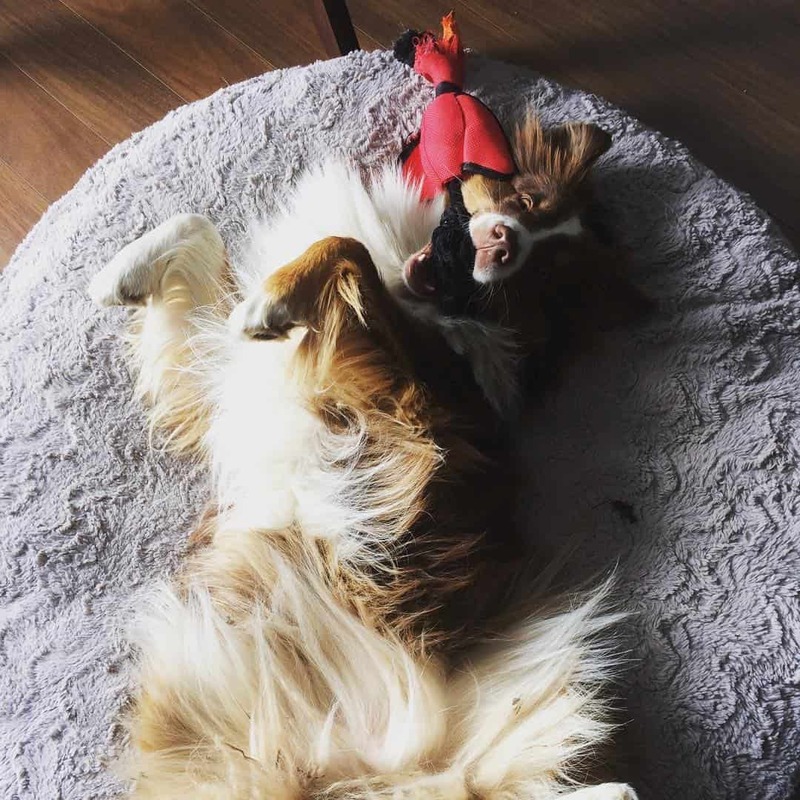 Where to start when wanting to go camping with your dog? 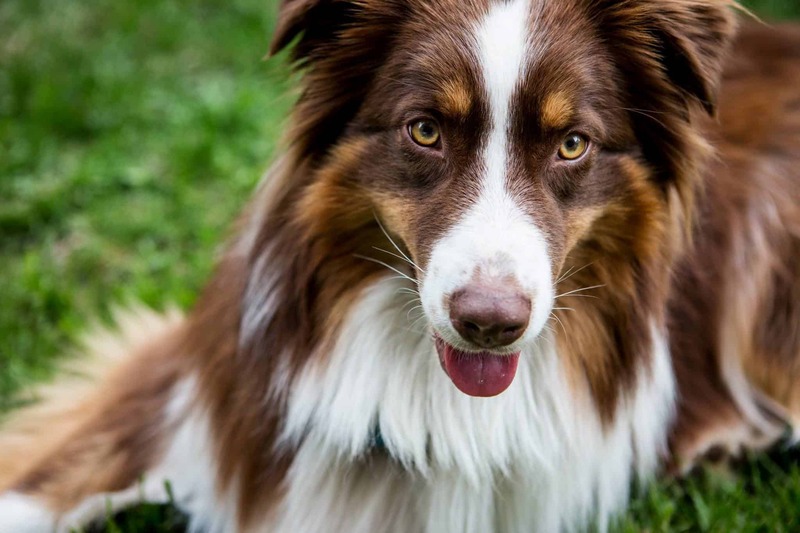 Bringing your dog camping has become more and more popular in the last years. Because they spend a good part of the week waiting for you patiently, we tend to want to include them as much as possible in our activities! Alice is a dog that has never seen a tent in her life and let’s not forget that dogs can be afraid of all sorts of things they have never seen before. You get what I’m saying? Put the tent up in the living room one evening, ideally at least one week before the day of the camping trip. Let me tell you that if you do several hours of driving, arduously set up your camp and then your dog has a morbid fear of the tent, you will not be happy at all! No sooner said than done, the tent will be set up in the middle of your small Montreal apartment. 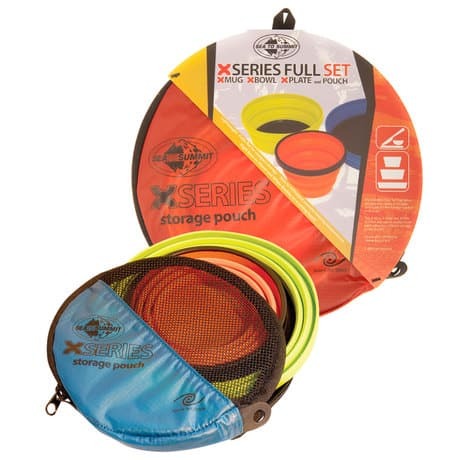 Now leave both sides of the tent open, throw in a few treats or your dog’s favourite toy and let the magic happen. Well … if the magic does not happen, leave the tent open for a few days and go inside to serve your bait of choice. When your dog finally decides to step inside, give him some yummy treats! At this point, we’re in the tent in nature, or semi-nature, surrounded by children running around and playing happily. Alice is inside sleeping; she hears branches, noises, birds, squirrels, wind, children, other dogs, etc. She suddenly starts barking at every little noise, so there is no way to sleep, either for us or for our very close neighbours (who may not like dogs)! All that to say that if this is your first experience with your dog camping, choose a calm camping spot that is not right next to the toilet area. If all goes well, you shall jump for joy and if it doesn’t, there will be less “damage control” to be done. Beautiful place where you can camp on an island. Pilot projects in 3 national parks (About time! Oops, did I say that?). Do not forget that for the wildlife reserves, dogs are accepted, but with a limited access. Check out the pictures on their website, no need to say more! When you make the reservation at this campground, there is a field designed to indicate the number of dogs that accompany you. Don’t overlook the fact that even if Miss Alice is a dog, she still need a certain level of comfort. It does not need to be huge, but it still needs to accommodate your dog. 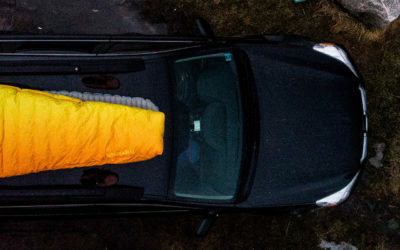 For two adults and a 40 pound dog, we’ll be camping with the “Triarch 2” from The North Face. We love the headroom and feet area (plus the small extra space where Alice could sleep with all 4 paws in the air). If you do not have a tent though, treat yourself to a little extra and take the Triarch 3. These are small items, which are inexpensive, but oh so useful! Carabiners are used to attach the dog leash to your bag as you walk in the forest and also simply to carry other objects. I discovered a wonderful thing when I fell in love with the outdoors: retractable bowls. They can be attached to your backpack with a carabiner! Some people might not know these bowls, but for the people who want to go camping with their dog and have the least things to carry, these bowls are a must-have. Add to that the traditional Nalgene bottle and your 4-legged best friend will be thrilled. I mentioned earlier that our guinea pig loved to roll in the mud and jump into the water. So, I do not see myself getting prepared to go to bed with Alice along with whole forest to sleep with us! I decided to give her my ultra quick drying microfibre towel (to be quite honest, it was mostly to find a reason to buy myself a new one). They are so thin that you won’t even notice you are carrying two! 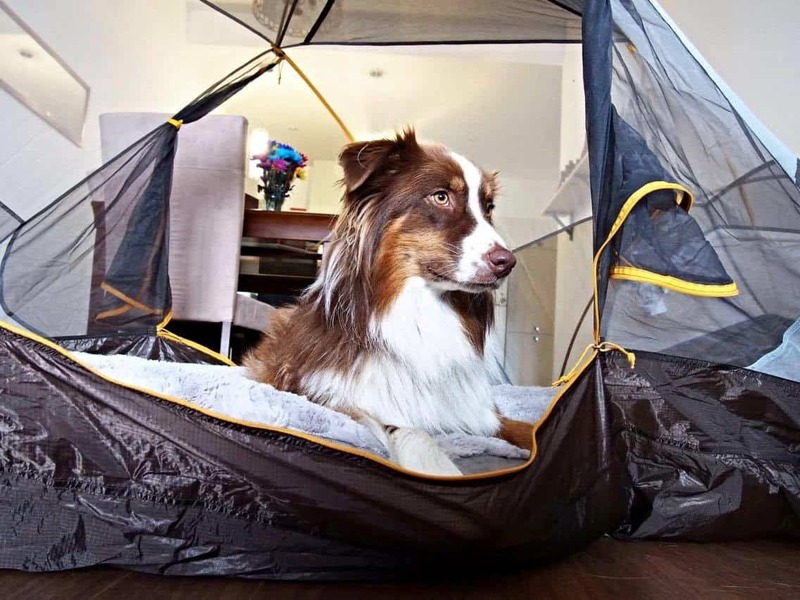 There you go, you are now ready to go camping with your dog! 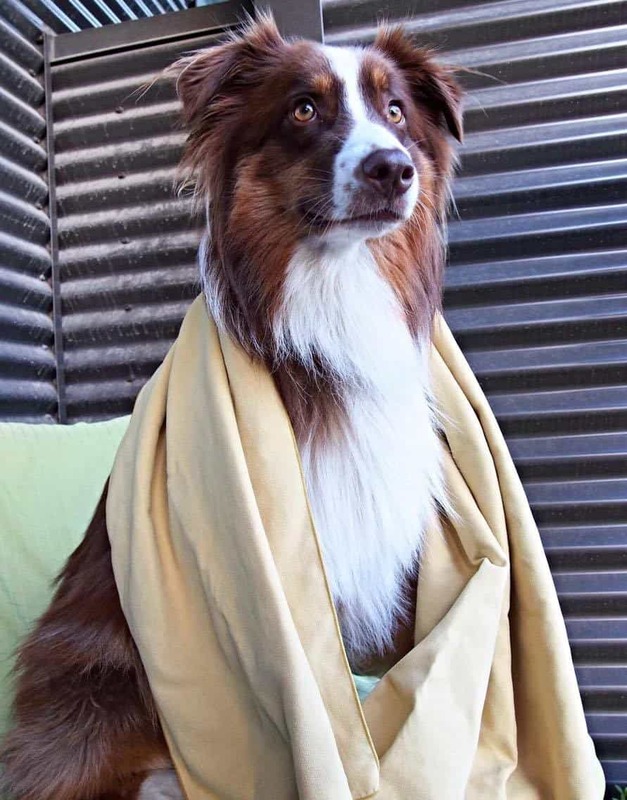 There is 3 thoughts on this article titled “How to Take Your Dog Camping for the First Time”. Is it safe from bears to camp in a tent with a dog. I know there shouldn’t be any food in the tent but even if there isn’t any food in the tent will a bear bother a dog and person sleeping in the tent. Hey Elaine, whenever you are camping in bear territory it is best to take all the precautionary measures because a bear will go where it wants even if a human and dog are in the tent. Some places will have a map board or give out bear safety pamphlets at the entrance of a camping area or trailhead but it is always a good idea to read up on basic bear safety before heading out into the woods so you are as prepared as you can be.